Growth drivers: CEO Pawan Munjal says inflation and rising fuel costs may adversely affect consumer spending in the coming months. Mint. New Delhi: Hero MotoCorp Ltd, India’s largest motorcycle maker, posted a record quarterly profit in the three months ended 30 September, as sales received a boost at the expense of car manufacturers hurt by rising borrowing costs and fuel prices. Net profit increased 19.38% from a year earlier to ₹ 604 crore in the fiscal second quarter, the company said on Tuesday. The profit was notched up on an increase of 28% in sales to ₹ 5,829.32 crore—another record. Hero MotoCorp and rivals such as Bajaj Auto Ltd and TVS Motor Co. Ltd have reported higher sales growth, buoyed by the festive season, as increased loan rates and petrol prices, and an uncertain global economy force potential car buyers to lower their sights and buy motorcycles instead. Hero MotoCorp sold 1.54 million units in the last quarter, a 20% increase from a year earlier. Bajaj Auto reported its highest-ever quarterly dispatches of 1.16 million units, an increase of 16.3%, in the three months to 30 September. TVS crossed the 600,000 mark for the first time. The Indian car industry sold 1.36% fewer cars in the six months ended September compared with a year ago. Hero MotoCorp’s earnings before interest, tax, depreciation and amortization (Ebitda), a measure of operating profitability, was ₹ 920 crore. Its Ebitda margin was 15.76%. “The numbers are marginally better than our expectations," said Nikhil Deshpande, a research analyst at PINC Research. “Raw material prices have come down sequentially—that has helped them to increase their margins." “This should remain at this level even during the next quarter as the growth is going to slow due to a higher base effect coming into play," Deshpande said. “Overall, it is a good result." He said one factor to watch out for will be the impact of yen appreciation on royalty payments to former partner Honda Motor Co. Ltd, with which the Hero Group’s founders ended a nearly 25-year-old partnership in December by agreeing to buy out the Japanese company’s 26% stake in a joint venture. 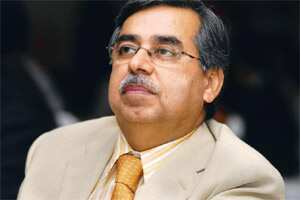 Pawan Munjal, managing director and chief executive officer of Hero MotoCorp, said inflation and rising fuel costs may adversely affect consumer spending in the coming months. The higher base effect of last year will also come into play in the third quarter of this fiscal. “However, we remain confident of carrying forward the buoyancy in our sales," Munjal said in a statement. “We expect our retail volumes to peak during the festive month of October, and in anticipation of rising market demand for our products in the coming months, we have been augmenting capacity at our existing plants." The company has said it will spend ₹ 500 crore on a new plant that is expected to come up in Gujarat and at least ₹ 250 crore on expanding capacity at its existing plants in Gurgaon and Haridwar. The company has set aside ₹ 100 crore for a rebranding exercise this fiscal. In addition, it will spend 2.1-2.4% of revenue on advertising. It rolled out a new brand identity in August, following the break with Honda. The earnings announcement was the first since the name was changed from Hero Honda Motors Ltd. Hero MotoCorp shares slid 0.41% to ₹ 1,984.85 on BSE on Tuesday as the benchmark Sensex index fell 1.63% to 16,748.29. The results were announced after markets closed.